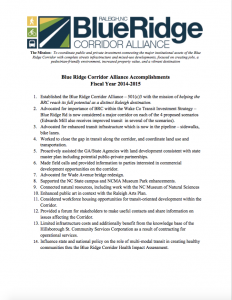 The Blue Ridge Corridor is an area centered around a 3-mile length of the Blue Ridge Road running North-South from Western Blvd. to Edwards Mill Rd. 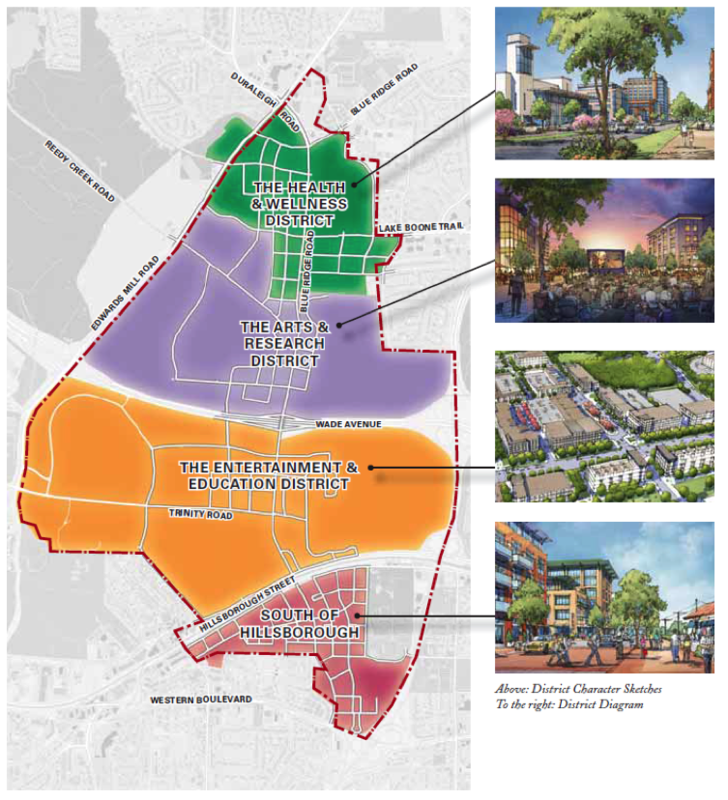 The corridor encompasses several state properties, medical facilities, neighborhoods, and office/retail parks extending East to I-440 and West to I-40. 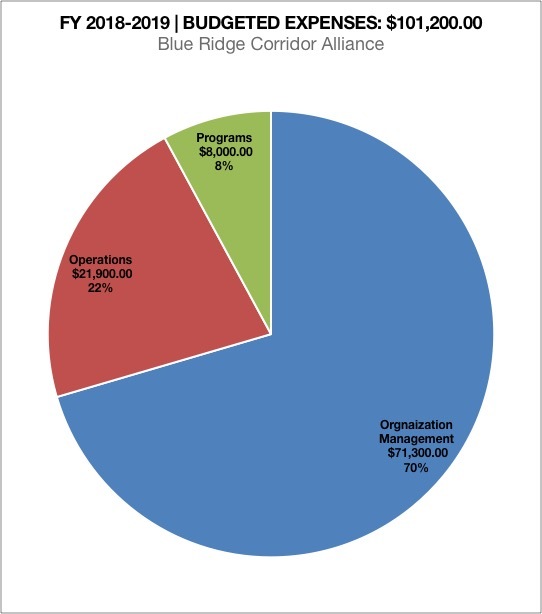 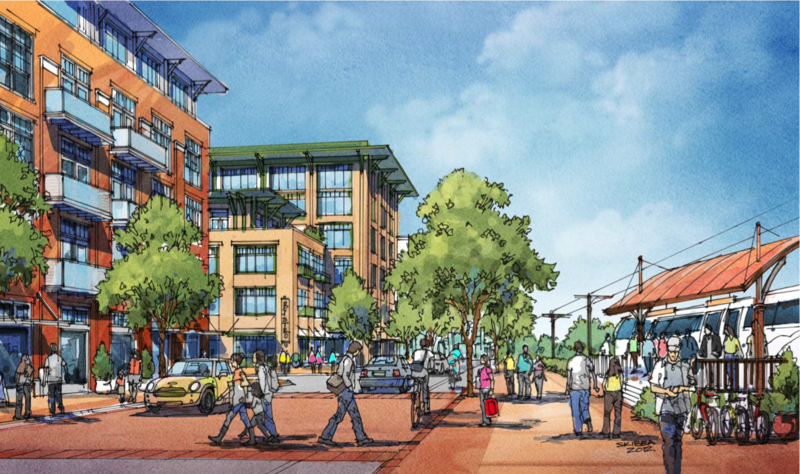 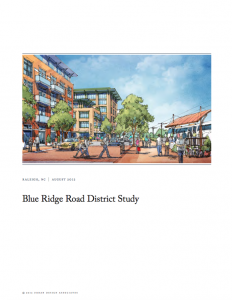 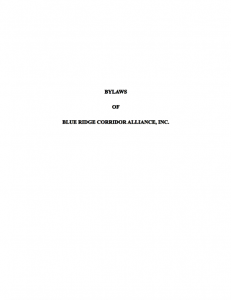 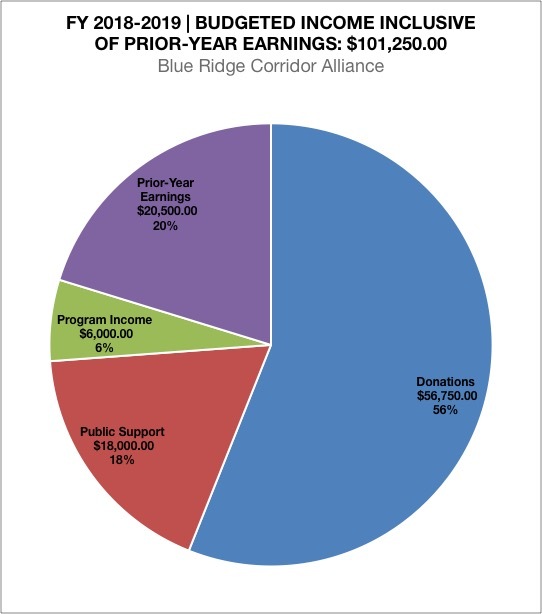 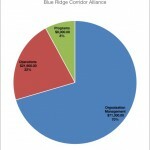 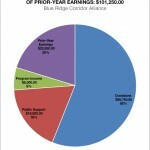 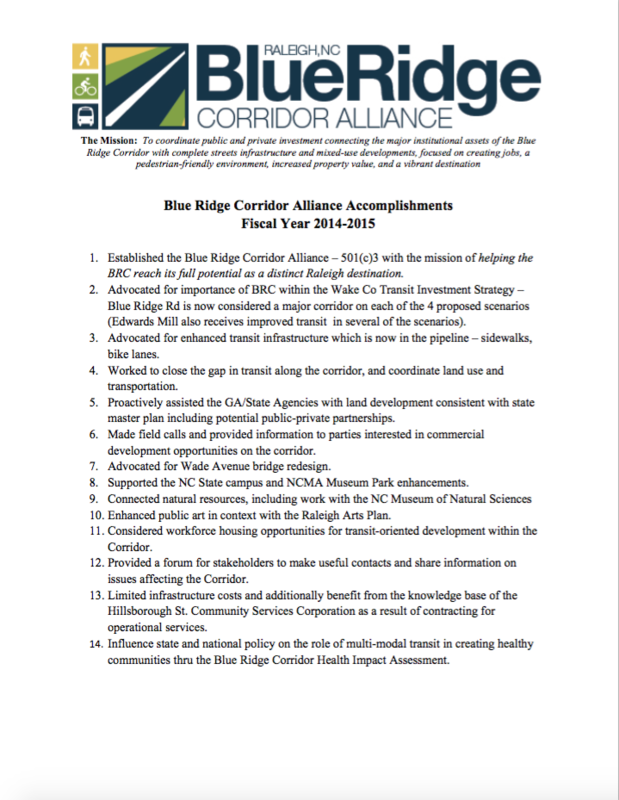 The vision for the Blue Ridge Road Corridor, which the Alliance supports, is established by the state master plan and comprehensive public realm improvements as envisioned in the 2012 Corridor plan. 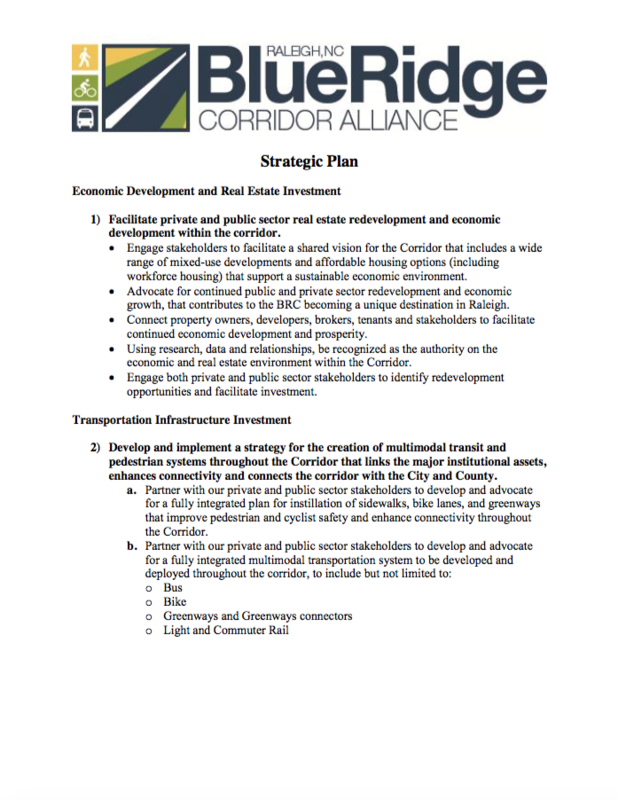 Our stakeholders are committed to the Corridor becoming a distinct destination in Raleigh in which its major existing institutional assets (health and wellness; museum and research; entertainment and education institutions) are connected by safe, walkable, pedestrian/bicycle friendly, mixed-use, transit-oriented development projects. 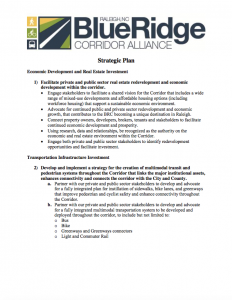 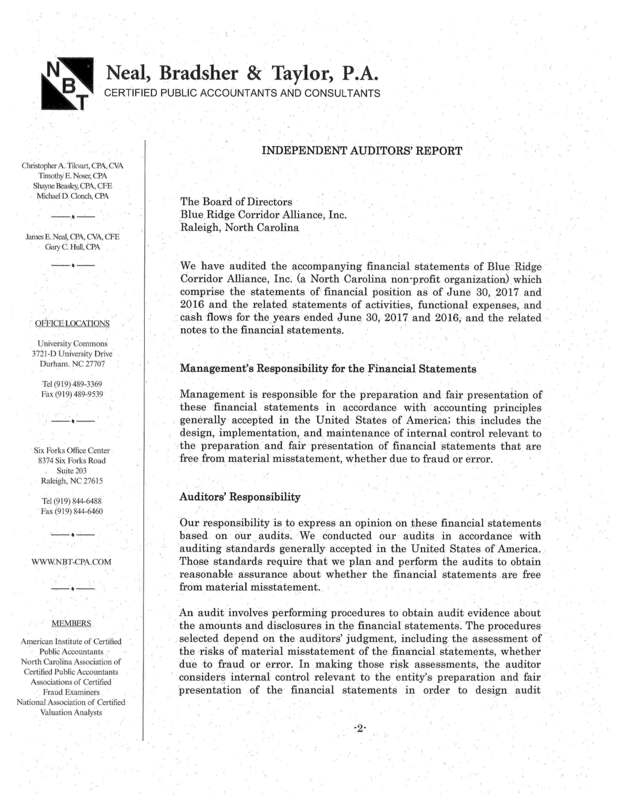 Working in cooperation with public agencies to achieve this vision, the Alliance promotes complementary public and private investments that will result in new jobs, increased tax revenue, needed safety features and amenities; and ultimately a vibrant, diverse and inclusive new destination in Raleigh – North Carolina’s capital city. 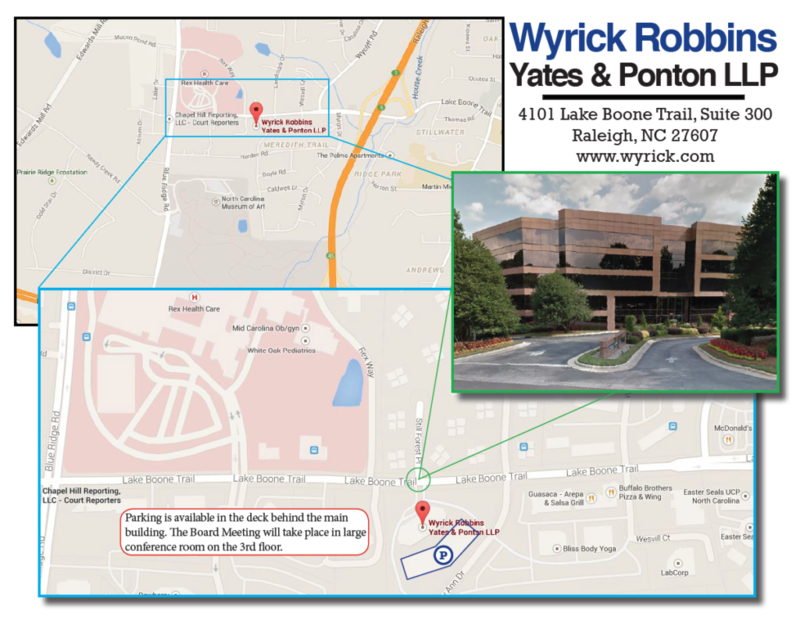 The BRCA Board of Directors meets on the second Thursday of every EVEN month from noon – 1:30 p.m. at Wyrick Robbins. 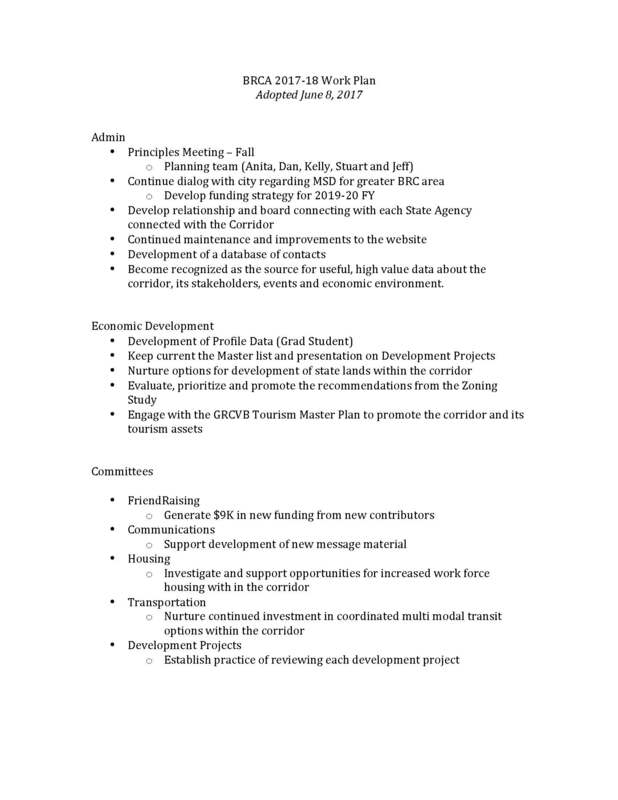 Meetings are open to the public.